Onyx is a stunning translucent stone that creates drama when underlit or backlit. It makes a dramatic backsplash or wall feature. Because it is a porous, soft stone, it scratches easily so it better used for lower-traffic areas. 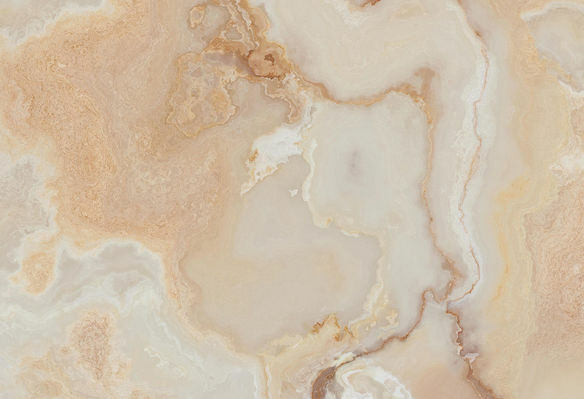 A calcareous stone, onyx is formed when dissolved limestone redeposits and forms new stone. It is a soft stone, which is why most onyx slabs are supported with a mesh backing. 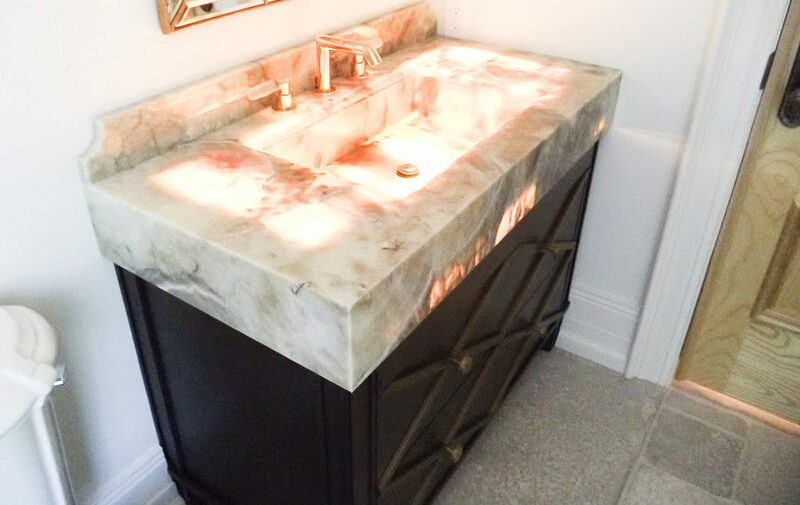 Typically, onyx is sealed when used as a countertop. We travel the world to hand pick our stone. View some of our most popular colour options here, and visit our showrooms to see the complete range.